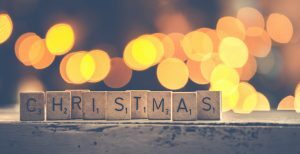 Christmas is fast approaching this year, and while it is a brilliant time of fun & laughter, excitement & joy, family & friends – it can also be a tim e of stress & anxiety, Depression & sadness, and of loneliness. Most of us don’t realise that almost all of us experience a range of emotions in the lead up to the holiday period – many of them positive emotions but also many of them are those negative thoughts that nag away at us. There are some important things to remember if you struggle through the festive season – firstly, it is ok to have negative thoughts and feelings. All of us have them – even that one person who is decked out in Christmas top to toe and has their house decorated like Santa’s Grotto. It is when these thoughts and feelings are persistent and constant that we should recognize, acknowledge, then do something about. This may be asking for help from family and friends, seeking help from a mental health professional or simply getting back into those routines (and sticking to them despite the disruption of the holiday season) that we know help our mental status i.e. exercise, meditation, proper sleep patterns etc. Secondly, lets be mindful of what is causing these feelings – some of us are drinking more heavily and more often because of all those Christmas parties we are attending, are we stressed with the organization of gifts, and menus, are we under financial strain – there are many things that can cause these negative emotions but understanding why we are feeling that way is the first step to being able to manage those feelings. Small things we can implement may help us manage this tricky time of year. Start getting organized now – think about what you need to buy, what you need to make, what gifts you’re giving and to whom and what events you would like to attend. By getting this preparation done early, you can concentrate on getting things done bit by bit – making the tasks, the events and the entire holiday period seem less daunting. Online shopping is a great way to do your shopping without having the stress of big crowds and busy malls – but for this to be effective it has to be done early. Being organized early also means that the financial burden of Christmas is easier to manage. Being able to put money aside or buy gifts with each pay packet can mean that the stress and worry of affording Christmas is not as severe. Setting a budget is extremely helpful – but you have to stick to it. It is ok to be on a small budget – family and friends understand that this time of year isn’t all about gifts and they will appreciate your time and your thought. Your mental health will thank you if you set a budget which is achievable. There are a lot of tools out there that can help with budgeting if you struggle such as https://sorted.org.nz/, but sometimes it is as easy as picking the maximum you can and want to spend and sticking to it. When it comes to Christmas parties and events – the pressure to consume alcohol can increase and can seem overwhelming – remember to always only drink what you’re comfortable with and that you don’t have to drink at these events. For more information read our recent post on how to feel included in social situations without drinking (http://www.shoretherapy.co.nz/social-drinking-and-how-to-opt-out/). Drinking in large quantities can be a depressant and often this happens at this time of year with numerous parties and events to attend. Just remember that this is likely to lower your mood. If you’re already experiencing negative thoughts and feelings then it may be helpful to lay off the alcohol. Its also important to remember that throughout the holidays many substance and alcohol abuse issues are more likely to arise. With a pressure to feel jolly and festive, it is easy to reach for those substances that help elevate your mood, and many of those substances like alcohol seem to be readily available whichever way you look. Use the resources that are available to you – AA meetings, Alcohol and substance abuse counsellors, your sponsors. It is tempting when you’re feeling low and it seems that everyone else is happy and jolly but remember partaking in these substances can result in much lower feelings – guilt, remorse, loneliness, nervousness and depression and more than likely other people are feeling exactly as you are. Loneliness becomes increasingly obvious at this time of year – every movie you watch, every song you sing, every Christmas function you go to – all surround around family and friends. It can be difficult for those of us who don’t have a close support network, whether it be because our family and friends are far away geographically, that you’ve just moved to a new neighbourhood or because members of your family have recently passed. There are numerous reasons you can feel lonely at this time of year but get out there and get involved. Find groups you can join, places you can go. It is hard to find the motivation to put yourself out there – but you get to build your own support network and there are always people who want to be part of it. Open yourself up to these opportunities and you may find that you have a far stronger network than what you thought. Remember that it is completely ok and normal to feel stressed, anxious, sad or lonely at times over the holiday period but if these feelings are persistent and constant then professional advice may help you to cope. Shore Therapy operates in both Northland and Auckland and can help you throughout this time period.